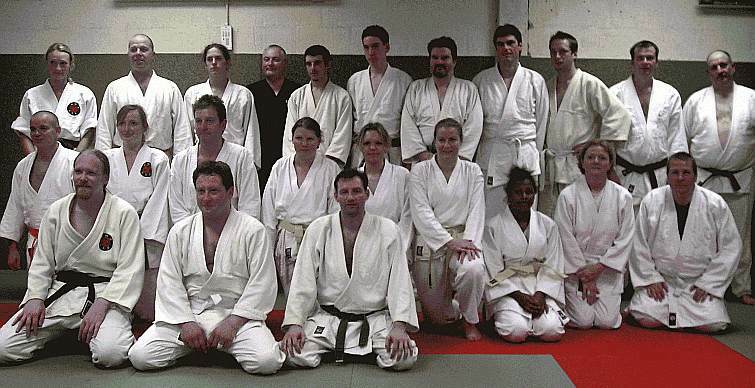 Students attending the Judo Go-Shin-Jutsu Kata course ran on Sunday 16th October 2005 in Epsom with the Kano Society. Students who went through the grading at the Thanet Martial Arts Centre (Margate) on Wednesday 5th October 2005. From the Gowa Ryu club, Kirsty Bricknell was promoted to 3rd kyu (green belt), and Christophe Courtin to 1st kyu (brown belt). We are proud to announce that the Student of the Month for October 2005 is Alex Vergara. The juniors participated in the competition held at Canvey Island on the 1st October 2005. Check out the result at the here. The Aikido Development Society, Gowaryu Aikido, Katsujinken Aikido Ryu, Winchmore and David Lloyd Clubs visited Shaun Hoddy’s Dojo on Canvey Island on the 4th of September 2005 for a Koryu Dai Go course. Shaun Hoddy can be seen performing the Koryu Dai Go on Aikido Development Society. A big thank you to Shaun and his club member for an enjoyable afternoon. Saturdays competition was quite a success, with contestants from the Ashford and Deal clubs battling it out in four different categories.